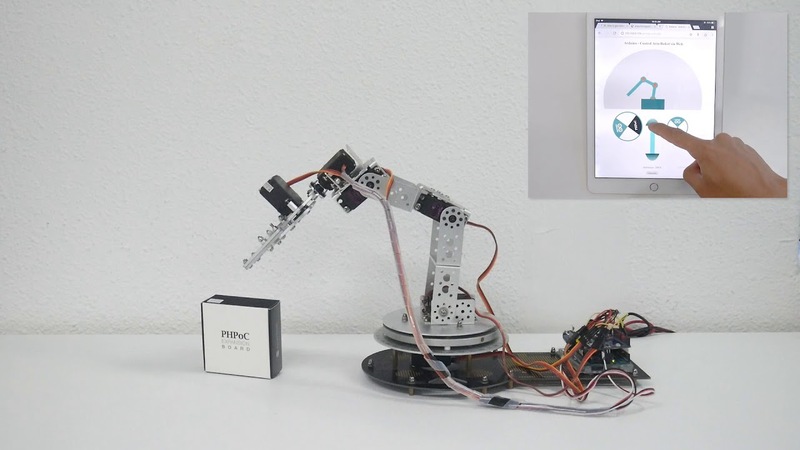 Arm robot has 6 motors. In case of Zone A, to calculate angles of motor 2, 3, 4, we need to do some geometric calculation. You can refer to it at the end of this page. Move motor with a small step. Pause a small time and then move another step. Wherestep_numis number of steps the motor has to take.step and timeis predefined values. Two later ones decide the speed and smoothness. The above is just only for one robot. To make robots start to move and reach destination at the same time, we can do as follows: Six motors take the same step_num, but step of each motor is different from each other. So we have to choose step_num in this project is maximum. Look at triangle ABE, we can infer that AE = BE and ∠E = π - 2α. Solve this set of equations, we can calculate γ. So, their required angles is: (δ+γ), β and β. These are angles of motors 2, 3 and 4 respectively. I checked the link you gave. This link contained Arduino example code. So, what you should do is to combine my code and that example code. All times are GMT+9. This page was generated at 04:49 AM.